Keeping A DSLR Steady For A Video Shoot? Ever since they started shooting motion pictures one of the biggest questions have been… How do you keep the damn camera steady? And what do you do about it if it’s not? If you’re a photographer just getting into shooting video with your DSLR, you’re likely to have the same questions. I’ll give you some answers to the first question and a few tips on dealing with the second. While a shaky camera can be used, on rare occasion, to good effect… it’s usually something to be avoided. More often than not, it just means your watching a B horror flick and the owner of said shaky camera is about to be bitten in half. 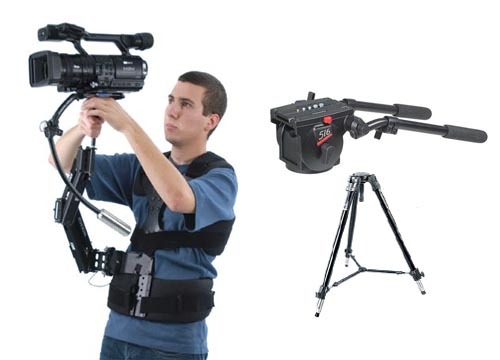 Hopefully we can get you shooting stable video so as to insure you are not similarly attacked by creatures that are aggravated by shaky video. So… how do you avoid such a fate? Beauty Box: Make everyone look beautiful. And we’re back. 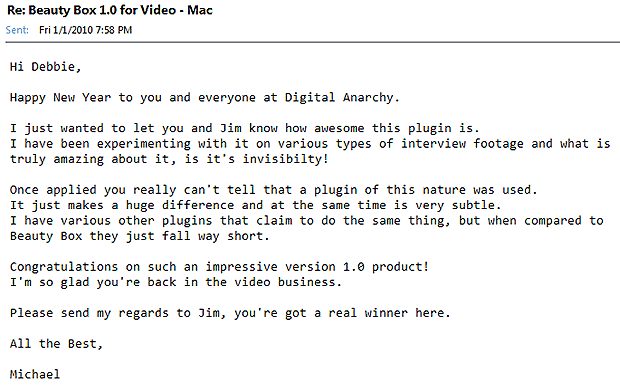 Digital Anarchy is once again making plugins for After Effects and Final Cut Pro. 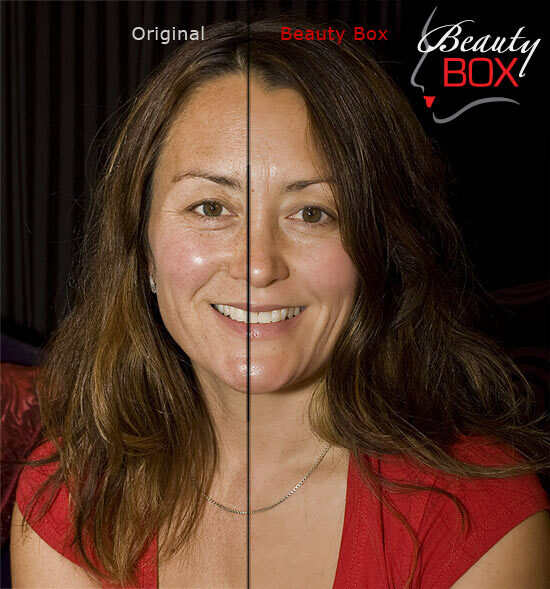 Our first new product is Beauty Box 1.0, which was released yesterday. In a nutshell, this plugin automatically does skin retouching, which reduces wrinkles and removes blemishes. If you weren’t able to hire a makeup artists for your shoot, or you just have regular people who look, well… regular, then Beauty Box allows you to do skin retouching without having to go frame by frame. It’s a powerful new plugin that uses face detection and an advanced smoothing algorithms to smooth out the skin while keeping all the other details sharp and in focus. Of course, we have the privilege of working with beautiful models. But Beauty Box will make everyone look beautiful! Ok, well, maybe not everyone. But if it’s possible, Beauty Box makes it easier to get them there.